First turning heads at New York Fashion Week during designer John Elliot’s A/W 2018 runway show, the Nike M2K Tekno is the latest release to join the rising popularity of ‘chunkier’ shoes, joining the likes of New Balance’s 990, Reebok’s Rapide and Fila’s Mindblower. 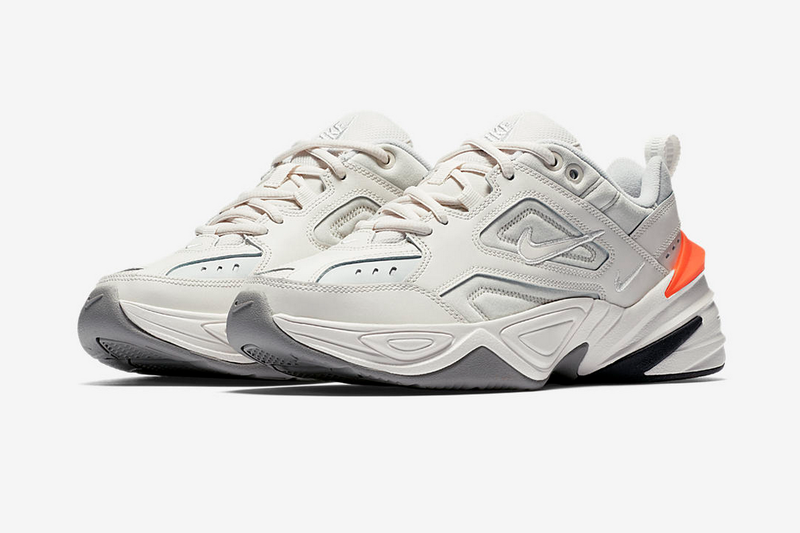 Design features of Nike’s subdued Monarch 1 have been injected with tech elements of the Monarch IV, resulting in a fashion-forward silhouette which boasts the comfort of one of Nike’s most supportive shoes. This retrospective look back at past decades appears to be the current design trend across all brands at the moment, with a specific focus on a 90’s aesthetic. 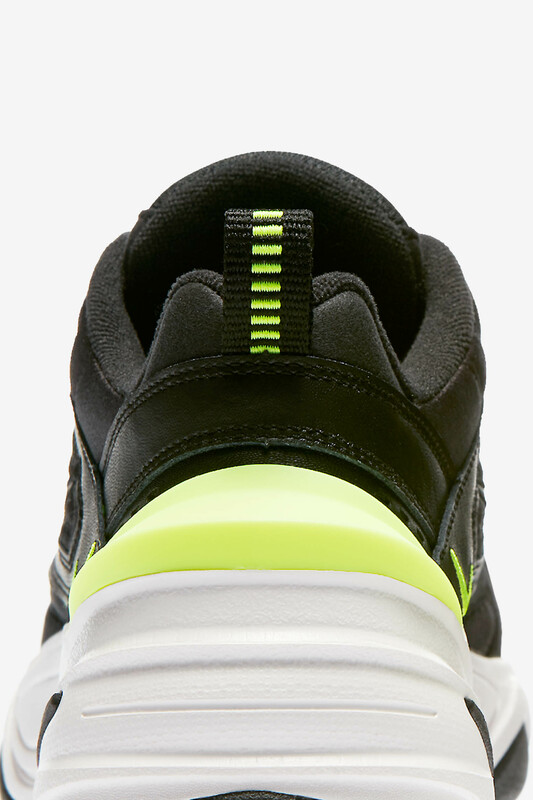 The Air Monarch is one of Nike’s best selling shoes of all time (and acts as a bit of a reminder that there are more great shoes out there aside from the bubble of hype!) so what better shoe to take reference from and reinterpret for a new generation to adopt than that. It’s kind of ironic that a shoe once pigeonholed purely for dad’s and P.E teachers is now the pinnacle of style, but that’s the ever-evolving world of fashion I guess! Debuting in two colourways to kick things off, the Tekno’s leather uppers have been deconstructed with cut-out sections to the sidewalls. Branding wise, the old faithful ‘miniswoosh’ sits in different spots across the upper in varying sizes, while a vibrant counter to the heel keeps in tune with the shoe’s striking presence. 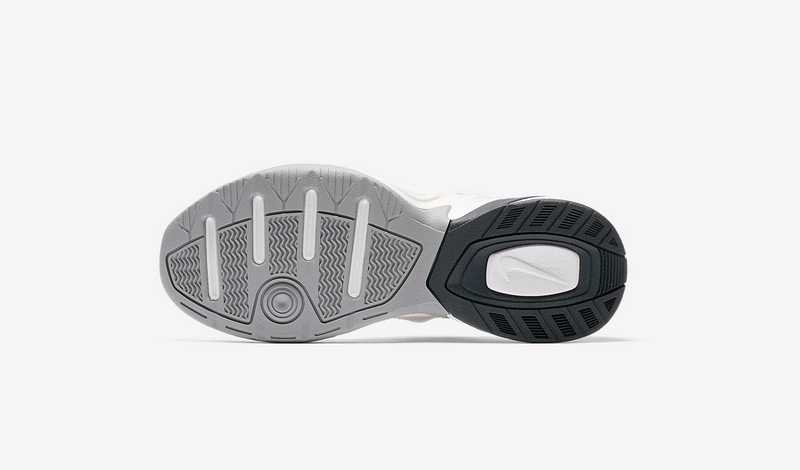 Underfoot, the sculpted thick midsole unit comes accented with geometric design lines and delivers superb levels of cushioning. Unfortunately it’s currently only available in smaller sizes for the ladies, but it’s a definite sign of things to come from Nike for the rest of the year. 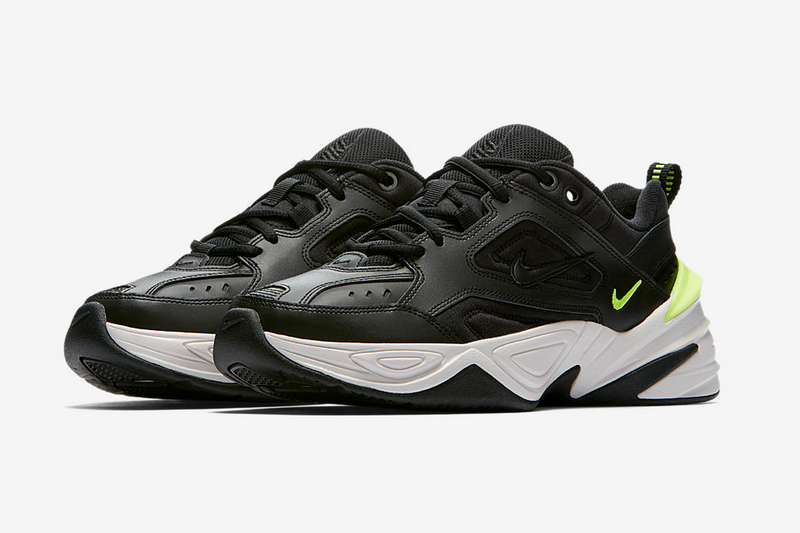 The Nike M2K Tekno will be available through the size?previews App and in size? Carnaby Street, Bordeaux, and Antwerp on Saturday 28th April, priced at £90.